Pantera "The Will To Survive"
Metal legends Pantera are offering up a listen to previously unreleased track "The Will To Survive," in celebration of the 20th anniversary of their highly revered Cowboys From Hell release. The song is a demo that was recorded in 1989, but not included on the original release; it will be featured on the new 20th anniversary edition. 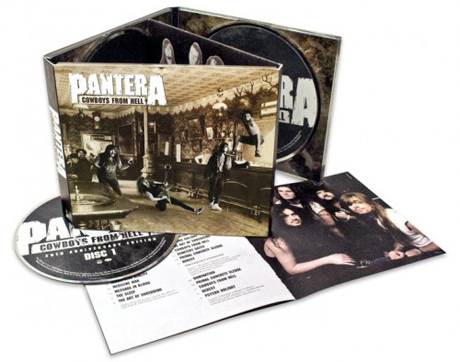 A Cowboys From Hell three-CD deluxe set is scheduled for release on September 14, with the Ultimate box set to follow on November 22. Listen to "The Will To Survive" over at Pantera's Facebook page here.